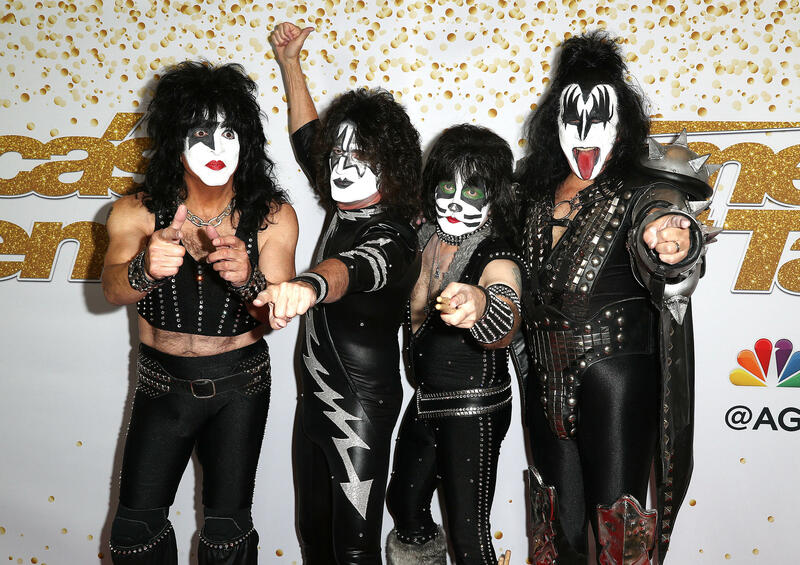 Fans can give Paul Stanley, Tommy Thayer, Eric Singer and Gene Simmons a kiss goodbye. KISS announced their final world tour, appropriately titled "End of the Road." The band performed "Detroit Rock City" on "America's Got Talent" before the big reveal on Tuesday. The band has been active for 45 years. In a statement, they said, "All that we have built and all that we have conquered over the past four decades could never have happened without the millions of people worldwide who've filled clubs, arenas and stadiums over those years. This will be the ultimate celebration for those who've seen us and a last chance for those who haven't. KISS Army, we're saying goodbye on our final tour with our biggest show yet and we'll go out the same way we came in ... Unapologetic and Unstoppable." Gene Simmons announces $2,000 box set, "The Vault"
"End of the Road" is not KISS's first farewell tour. The band held "The Farewell Tour" from 2000 to 2002 with original members Ace Frehley and Peter Criss. Earlier this year, Stanley hinted at retirement during an interview with Billboard. He said, "I don't want to go leave home. I have a family and I have children and, honestly, I think my primary responsibility is to be a dad and I don't want to miss out on that. And certainly as we got older we know that life is finite and I pick and choose what I want to do at this point."